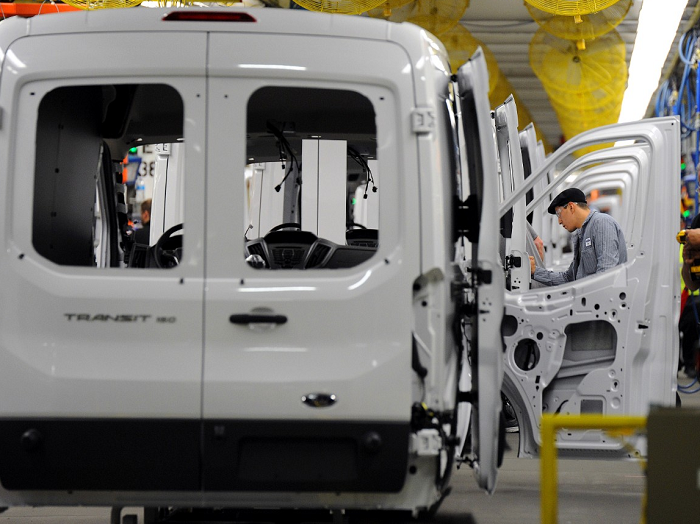 Supported by 2,000 new employees and a $1.1 billion investment, the all-new Ford Transit van rolls off the line at Kansas City Assembly Plant today, as Ford aims to strengthen its leadership in the commercial vehicle segment. On sale this summer, Fordâ€™s next-generation full-size van family will provide tradespeople and businesses with increased capability and innovative new configurations in the growing commercial vehicle market. 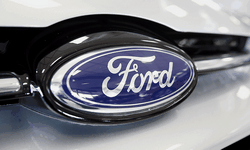 It is another example of the companyâ€™s One Ford strategy to serve customers with world-class vehicles leveraging global assets, including common platforms. The move results in bringing new jobs to the greater Kansas City area. The 2,000 new Ford employees at Kansas City Assembly Plant puts the company more than 75 percent toward its goal of creating 12,000 hourly jobs in the United States by 2015. 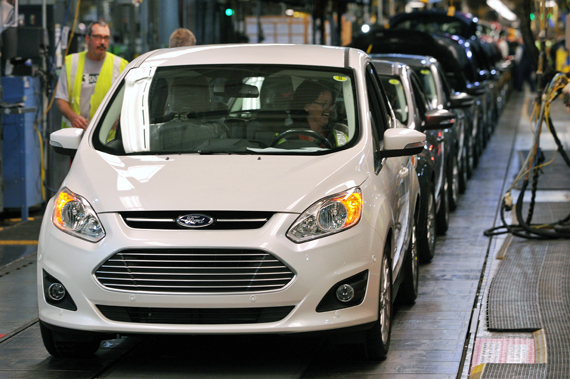 In 2014 alone, Ford will hire nearly 5,000 new hourly and salaried employees in the U.S. to support overall growth. Transit is born from nearly a century of experience delivering two distinct full-size vans to customers in America, Europe and other global markets. In the U.S., Transit eventually will replace Americaâ€™s best-selling van for 35 years, the E-Series van, first sold in 1961 as Ford Econoline. E-Series vans and wagons still will be available and sold side-by-side with Transit into the 2014 calendar year, providing a seamless transition for Ford customers. Additionally, the E-Series cutaway and stripped chassis will continue to be built and sold through most of the rest of the decade. Transit was introduced in Europe in 1965 and has been the best-selling commercial van in the UK for 49 years. Transit is currently sold in 118 markets on six continents. The high-roof Transit â€“ with best-in-class 81.5 inches of maximum interior cargo height â€“ provides enough headroom for a person 6 feet 8 inches tall to stand upright in the cargo area. The new Transit van offers as much as 487 cubic feet of cargo volume and 4,650 pounds of maximum payload capacity â€“ more than competing vans from General Motors and Chrysler. The Transit van delivers a maximum towing capacity of 7,600 pounds. In some configurations, Transit offers as much as much as 75 percent more cargo volume than the largest E-Series, helping customers save in fuel costs and time associated with having to make a second trip. Maximum payload increases more than 600 pounds across the Transit van lineup versus comparable E-Series vans. 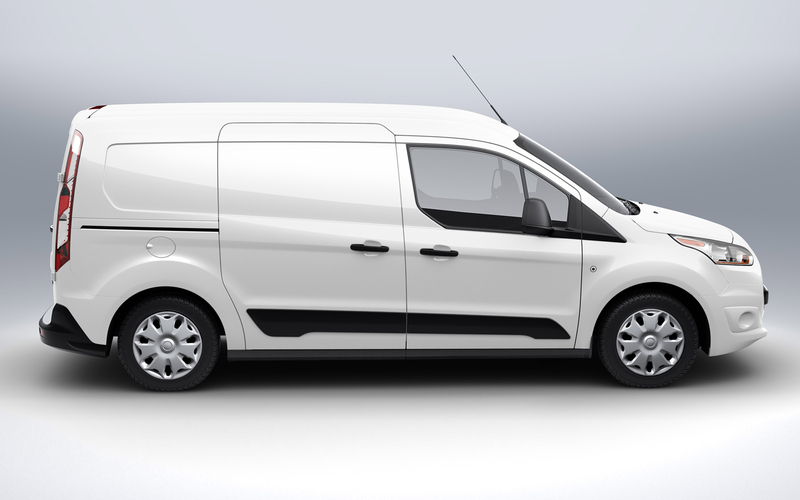 Transit will be available in three body lengths, two wheelbases on van and wagon and three roof heights; in van, wagon, chassis cab and cutaway body styles; and in XL and XLT trim levels, offering more choices than ever from a Ford commercial van vehicle. Moving from an all-gasoline engine lineup of two V8s and a V10 in E-Series, Transit comes standard with a 3.7-liter V6 engine and offers the Ford F-150â€™s 3.5-liter EcoBoostÂ® engine, along with a globally proven available 3.2-liter Power StrokeÂ® diesel option. Each engine is paired with a six-speed automatic transmission for efficient rear-wheel-drive operation. Transit has been tested to Built Ford Tough truck standards at Ford proving grounds and in the hands of real-world fleet customers in North America.